Featuring enhanced portability and a 650mAh battery the Aspire Breeze is a pretty well-built all in one vape. This low output vaporizer is great for nicotine salts but it also works great with standard 6 – 12mg nic e-liquids. Due to its loose draw it's mostly intended for direct lung hits, but you can also mouth to lung it if you like. However, in mouth to lung mode, the experience is nowhere near as pleasant as with a pod system. This device has a compact and ergonomic design and it's activated via a well placed fire button. It features U-tech coil technology for enhanced flavor and compatibility even with higher VG juices. The vaporizer is compatible with TPD regulations so it can be purchased within the EU without any problems. 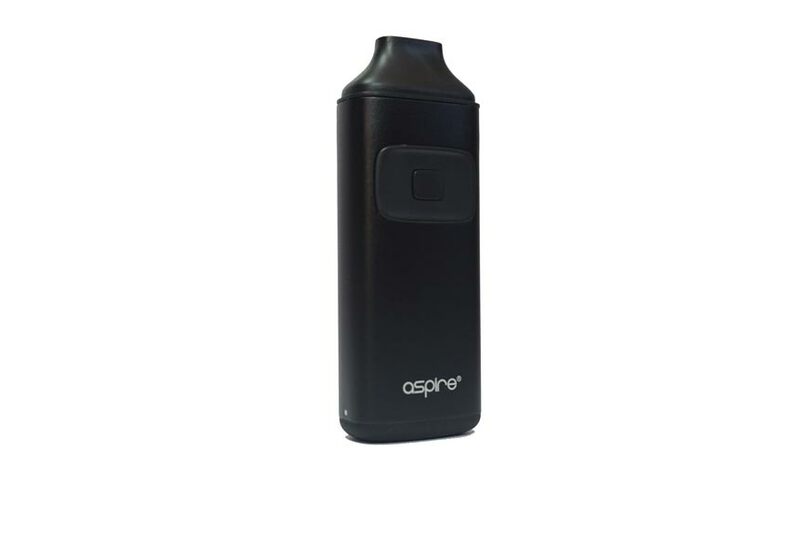 The Aspire Breeze comes packed in a black cardboard box. Inside you will find the device itself, two 0.6 Ohm coils, a micro-USB cable, and spare O-rings. Available colors are Green, Black, Grey, Red, and Blue. You can also buy the 800mAh dock separately. This way you can recharge the tiny vaporizer on the go. The Aspire Breeze measures 93mm x 33mm x 18mm and it's made from aluminum alloy. Has a nice dust cap covering the mouthpiece, which is detachable. Under the mouthpiece we have the chimney section and the atomizer. The mouthpiece also acts as a tool to unscrew the chimney, before filling the tank with e-liquid. In terms functionality the device feels pretty similar to a Vaporesso Nexus AIO. Inside this portable AIO there's a good 650mAh battery. This is pretty decent if we consider the 0.6 Ohm coils and the direct lung inhale feature. It should last between 3 – 5 hours of moderate use. However we recommend the charging dock or a portable battery to further enhance autonomy. Even though it has a fire button, the Aspire Breeze has dual functionality. It will deliver vapor either by direct inhaling when the device is switched on or by pressing the button. The Aspire Breeze is an excellent all in one portable vaporizer for beginners. It can also be used as a back-up device for a more powerful vape modor as an on the go starter kit. Stealthy and portable it's great for running errands or taking it to the office. Vapor quality and flavor are pretty good for this category and battery life is decent. We recommend using this with 20 – 35mg nicotine salts liquids or with 6 – 12mg regular nicotine. Update 27th Jan: We just tried the charging kit of the Breeze. This tiny pod vape is rechargeable with a USB cable. The LED background lighting indicates if the device is charged (green) or not (red). 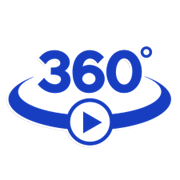 We are happy to have received this gadget. Definitely a must have when you own a Breeze AIO. Update 14th Aug: Refillable pod systems are very popular nowadays and the Aspire Breeze 2 is one of the best money can buy. This pocketable vaporizer is designed for both nic salts and freebase nicotine and it's a big improvement over its predecessor. The build quality is really impressive, vapor and flavor are very good and battery life is off the charts. It's an easy to use device intended for beginners or intermediate vapers and costs little under $30. Aspire does an excellent job packaging its products and the Breeze 2 is no exception. With the vape you get two types of coils, a bag of spares, a charging cable, a mouthpiece cover and the user manual. For people living in Europe there's a special 2ml version of this bad boy that's TPD compliant. Available colors are Blue, Grey, Red, and Black. Compared to the original Breeze, this vape is 3mm taller, 2mm wider and 1mm thicker. It measures 96mm x 35mm x 19mm and the body is made from aluminum alloy. The e-liquid reservoir and mouthpiece are PCTG and total capacity is 3.0ml. The Aspire Breeze 2 comes with a mouthpiece cover and this is a big pro, especially for carrying it around in your pocket. It has a textured fire button on the face and two "press to release" buttons on its sides. The micro-USB slot is also on the side and battery capacity is 1000mAh. To turn the device on or off, simply press the button for five consecutive times. There are two LED notification lights under the e-liquid pod which will blink if everything is up and running. These two LEDs also show remaining battery life. When they blink blue and orange at the same time the battery is over 50%. When the light is blue only then you have between 50 – 20% battery. You will need to plug in the pod system when the same LED lights show the color orange. The refillable pod comes off when you press the two side buttons. It has the mouthpiece attached on top of it through an O-ring. There are airflow slots on both sides as well as an adjustment ring over the coil. When filling the pod with e-liquid just remove one or both gaskets on the bottom for easy access with your bottle or dropper. With the Aspire Breeze 2 you get two types of coils: a 0.6 Ohm atomizer for freebase nicotine and a looser draw as well as a 1.0 Ohm atomizer for nicotine salts. The 0.6 Ohm coil delivers a bit more vapor and flavor but it's hard to vape in in direct lung mode. On the other hand the 1.0 Ohm version is perfect for mouth to lung and deliver warm, smooth vapor. You can adjust the tightness of the draw by twisting the ring over these coils and this can help tailor the experience to your personal liking. Also worth mentioning is that these atomizers don't flood as easily but we recommend 60/40 VG/PG nic salts or higher for best results. The Aspire Breeze 2 is one of the best refillable pod systems we tried so far and a product we totally recommend. It's well built, easy to use and the coils are fantastic. Great vapor, good flavor and a battery that easily lasts the whole day. The pod is easy to refill and since this device works with replaceable coils, it will last for a very long time. You can always buy spares for different e-liquid flavors; however the included one is very easy to clean. The only con we have is with the airflow adjustment mechanism, which is a bit tricky to use. You have to take off the mouthpiece, adjust the slots, put the mouthpiece back on and then give it a try. It's not the end of the world, but something worth mentioning.